So you think that mother, apple pie, the American flag and Thanksgiving have always been American traditions? Thanksgiving as we generally know it today came about during the administration of President George Washington as a result of one Newark area man, a member of the famous Elizabeth and Newark Boudinot family. Changes in the date on which the holiday was celebrated, occurred in the 19th century. But it was not until 1941 that the nation really began to celebrate it as we do today. Major credit for the creation of the holiday belongs to Elias Boudinot who served as president of the Continental Congress from 1782-1783 and who some consider the first president of the United States. He was tall, handsome, elegant and an eloquent member of the United House of Representatives, a Federalist who was born in Princeton, resided most of his life in Elizabeth, had a law office in Newark, and eventually moved to Burlington in his old age to be near his daughter. His brother, Elisha Boudinot, was rumored to have been Newark's wealthiest man and certainly had the town's most beautiful mansion on the edge of Military Park on the site of today's PSE&G park. This is where he entertained the Marquis de Lafayette in 1832. 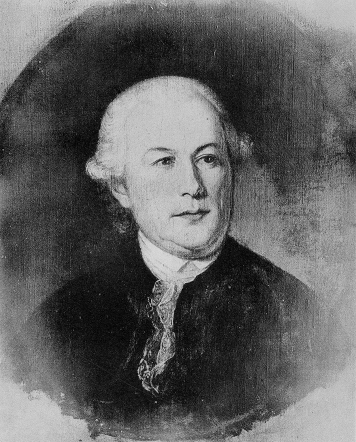 The Elizabethtown Boudinot left the Continental Congress to serve as Secretary of Foreign Affairs, was elected to the United States House of Representatives where he served three terms, and in 1795 was appointed director of the U.S. Mint in Philadelphia, a post he held until his death. He served as a trustee of the College of New Jersey (Princeton) from 1772 until his death in 1821, and was the first president of the American Bible Society. On Thanksgiving Day, November 27, 1941, local and national attention was focused more on the war clouds which were descending on the country. Saburo Kurusu, special Japanese envoy and Ambassador Nomura were in the headlines after arriving at the White House to spend the afternoon with the president just days before the attack on Pearl Harbor. On the other side of the world, British forces had cut through the Axis supply road at Tobruk to end a seven month siege, one of history's most dramatic, and a relief column had captured Resegh. In Europe, the Germans continued to gain ground south of Moscow. Many New Jerseyans were included in the 34th Infantry bound for San Francisco and others were on their way to the Pacific by way of Fort Jackson, S.C. On the home front the news was lighter. The Star-Ledger reported that for the first time in years there had been no reports of turkey thefts in local grocery stores. 'According to old-timers in police circles; prosperity, rather than a distaste for the bird, may be the reason.' In a story titled 'Thanksgiving in a Democracy,' it was reported that thousands of homes were being opened to others, including 120 students from the Casey Jones Aeronautical School. The great Bamberger's parade, stretching from Orange to the front door of the store on Washington St. to inaugurate the holiday shopping season, was the other big news. More than 100,000 spectators were expected to witness its mile and a half of floats, huge balloons and pageantry. Additionally, religious services were held in most churches, restaurants and night clubs reported their busiest season ever. Provisions also were made for taking care of the less fortunate. The Salvation Army provides turkey dinners as did many other organizations throughout town. Fifty years later on November 28, 1991, after a half century of the modern celebration of Thanksgiving, the newspaper headlines also were split between hard news and the joys of holiday itself. On the national and international level, news included the emergency of men and women from the Biosphere II experiment in Tucson, Arizona, and a demand by the U.S. and the U.K. for the turnover of two Libyan agents indicted in the 1988 bombing of Pan Am Flight 103. The seasonal news included opening of additional soup kitchens in town as well as the feeding of 850 service people dispatched to the U.S. Navy base at Guantanamo Bay, Cuba. In Indianapolis, 25,000 dinners for the needy were prepared by 500 volunteers, a tradition previously begun by a local minister. In Mississippi, a Thanksgiving feast was prepared for 1,500 members of the Choctaw tribe. And so, 50 years after America had settled down to celebrating one of its most unique holidays, news of sharing and caring filled the front pages of the local press.